This article is about the profession. For the news publication, see The Economist. For other uses, see Economist (disambiguation). The individual may also study, develop, and apply theories and concepts from economics and write about economic policy. Within this field there are many sub-fields, ranging from the broad philosophical theories to the focused study of minutiae within specific markets, macroeconomic analysis, microeconomic analysis or financial statement analysis, involving analytical methods and tools such as econometrics, statistics, economics computational models, financial economics, mathematical finance and mathematical economics. 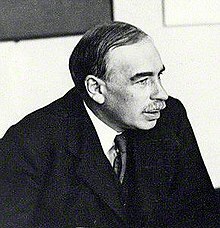 The professionalization of economics, reflected in academia, has been described as "the main change in economics since around 1900." Economists debate the path they believe their profession should take. It is, primarily, a debate between a scholastic orientation, focused on mathematical techniques, and a public discourse orientation, which is more focused on communicating to lay people pertinent economic principles as they relate to public policy. Surveys among economists indicate a preference for a shift toward the latter. Most major universities have an economics faculty, school or department, where academic degrees are awarded in economics. Getting a PhD in economics takes six years, on average, with a median of 5.3 years. The Nobel Memorial Prize in Economics, established by Sveriges Riksbank in 1968, is a prize awarded to economists each year for outstanding intellectual contributions in the field of economics. The prize winners are announced in October every year. They receive their awards (a prize amount, a gold medal and a diploma) on December 10, the anniversary of Alfred Nobel's death. Economists work in many fields including academia, government and in the private sector, where they may also "...study data and statistics in order to spot trends in economic activity, economic confidence levels, and consumer attitudes. They assess this information using advanced methods in statistical analysis, mathematics, computer programming [and] they make recommendations about ways to improve the efficiency of a system or take advantage of trends as they begin." In contrast to regulated professions such as engineering, law or medicine, there is not a legally required educational requirement or license for economists. In academia, to be called an economist requires a Ph.D. degree in Economics. In the US government, on the other hand, a person can be hired as an economist provided that they have a degree that included or was supplemented by 21 semester hours in economics and three hours in statistics, accounting, or calculus. A professional working inside of one of many fields of economics or having an academic degree in this subject is often considered to be an economist. In addition to government and academia, economists are also employed in banking, finance, accountancy, commerce, marketing, business administration, lobbying and non- or not-for profit organizations. Politicians often consult economists before enacting economic policy. Many statesmen have academic degrees in economics. Economics graduates are employable in varying degrees depending on the regional economic scenario and labour market conditions at the time for a given country. Apart from the specific understanding of the subject, employers value the skills of numeracy and analysis, the ability to communicate and the capacity to grasp broad issues which the graduates acquire at the university or college. Whilst only a few[quantify] economics graduates may be expected to become professional economists, many find it a base for entry into a career in finance – including accounting, insurance, tax and banking, or management. A number of economics graduates from around the world have been successful in obtaining employment in a variety of major national and international firms in the financial and commercial sectors, and in manufacturing, retailing and IT, as well as in the public sector – for example, in the health and education sectors, or in government and politics. Small numbers[quantify] go on to undertake postgraduate studies, either in economics, research, teacher training or further qualifications in specialist areas. In Brazil, unlike most countries in the world where the profession is not regulated, the profession of Economist is regulated by Law. 1411 of August 13, 1951. The professional designation of economist, according to the said law, is exclusive to the bachelors in economics graduates in Brazil. According to the United States Department of Labor, there were about 15,000 non-academic economists in the United States in 2008, with a median salary of roughly $83,000 the top ten percent earning more than $147,040 annually. Nearly 135 colleges and universities[verification needed] grant around 900 new Ph.D.s every year. Incomes are highest for those in the private sector, followed by the federal government, with academia paying the lowest incomes. As of January 2013, PayScale.com showed Ph.D. economists' salary ranges as follows: all Ph.D. economists, $61,000 to $160,000; Ph.D. corporate economists, $71,000 to $207,000; economics full professors, $89,000 to $137,000; economics associate professors, $59,000 to $156,000, and economics assistant professors, $72,000 to $100,000. The largest single professional grouping of economists in the UK are the more than 1000 members of the Government Economic Service, who work in 30 government departments and agencies. Analysis of destination surveys for economics graduates from a number of selected top schools of economics in the United Kingdom (ranging from Newcastle University to the London School of Economics), shows nearly 80 percent in employment six months after graduation – with a wide range of roles and employers, including regional, national and international organisations, across many sectors. This figure compares very favourably with the national picture, with 64 percent of economics graduates in employment. Amartya Sen, Nobel Memorial Prize in Economic Sciences laureate and professor at Harvard University. Kenneth Arrow, Nobel Memorial Prize in Economic Sciences laureate and professor at Stanford University. Ben Bernanke, Chairman of the Federal Reserve from 2006 to 2014. Milton Friedman, Nobel Memorial Prize in Economic Sciences laureate. 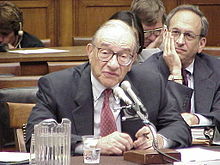 Alan Greenspan, Chairman of the Federal Reserve from 1987-2006. James Heckman, 2000 Nobel Prize winner and Professor at University of Chicago; most cited economist as of 2018. Glenn Hubbard, Dean of the Columbia University Graduate School of Business; Chair of the Council of Economic Advisers from 2001 to 2003. Paul Krugman, a 2008 Nobel Memorial Prize in Economic Sciences laureate, a public intellectual, and an advocate of modern liberal policies. Greg Mankiw, American macroeconomist, academic economist, public intellectual, Chair of the Council of Economic Advisers from 2003 to 2005. Joseph Stiglitz, 2001 Nobel Memorial Prize in Economics winner, critic of inequality and the governance of globalization, and former World Bank Chief Economist. Janet Yellen, Chair of the Federal Reserve from 2014-2018. Dambisa Moyo, a Zambian-born international economist and author who analyzes the macroeconomy and global affairs. Thomas Piketty, French economist and author of Capital in the Twenty-First Century. ^ Davis, William L. (August 2004). "Preference Falsification in the Economics Profession" (PDF). www.econjournalwatch.org. ^ Siegried JF, Stock WA. (2001). So You Want to Earn a Ph.D. in Economics: How Long Do You Think it Will Take?. Journal of Human Resources. ^ "The Nobel Prize". Nobel Web AB. Retrieved 2008-03-14. ^ "Economists : Occupational Outlook Handbook: : U.S. Bureau of Labor Statistics". www.bls.gov. Retrieved 2017-02-02. ^ "Economics Jobs and Economist Jobs - Econ-Jobs.com". ^ "Guia do mercado de trabalho do economista CORECON". Retrieved 2018-01-14. 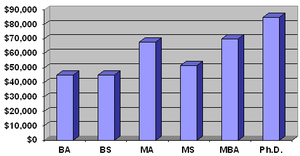 ^ a b "Pay Scale, US income of Economists". Retrieved 2013-01-14. Mark Blaug and Howard R. Vane (1983, 2003 4th ed.). Who's who in Economics [ru]. Table of Contents links. Cheltenham & Edward Elgar Pub.